We are currently seeking sponsors who would like to purchase a billboard banner for this season and/or beyond. Billboard banner signs will be placed on the outfield fences at the Athletic Field from approximately April 30th - September 30th. Many area businesses and groups take advantage of the BDYBS Billboard Sponsorship Program. Our leagues play baseball and softball on the diamonds at the Beaver Dam Athletic Fields between DeClark Street and Grove Street. In addition to our regular league nights, BDYBS hosts many other regional tournaments throughout the summer. If your advertising goal is to get your message to a large number of families right here in Beaver Dam, please consider sponsoring a billboard for our outfield fences. While you are building your business, proceeds raised will help us continue to enhance playing fields and equipment and improve our league. Bonus: With each billboard sponsorship, receive one free year (365 days) gold sponsorship on our home page which includes a logo and link. This is a $100 value! Sponsorships are guaranteed for a four year term with two payment options. Have other ideas in which to contribute to our program? Advertise on our Home Page! On average it is typical to have around 550 children from roughly 400 families within our community, all of which use our website on a regular basis. In addition, BDYBS hosts tournaments that brings in teams and families from local cities. These large groups patronize businesses in our community and our website is an excellent way to reach your customers. 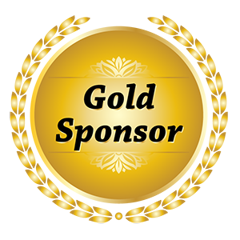 Gold Sponsorship receives premium, tier 1 placement of your Business's logo and a website link on the home page of the BDYBS website. Placement term is 1 year. 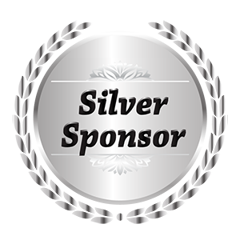 Silver Sponsorship received standard, tier 2 placement of your Business's logo and a website link on the home page of the BDYBS website. Placement term is 1 year. Support Beaver Dam Youth Baseball & Softball when shopping on Amazon. Click here to start shopping. ©2019 Beaver Dam Little League / SportsEngine. All Rights Reserved.